Rock & Roll, Counterculture, Peace & Protest: Popular Culture in Britain and America, 1950-1975 is a database that features content from the Ray & Pat Browne Popular Culture Library at BGSU. The publisher, Adam Matthew Digital, recently released additional content in the database, including content from BGSU. The additional module is now live in the database and can be searched and viewed alongside all the other great images, documents, and videos available in this resource. 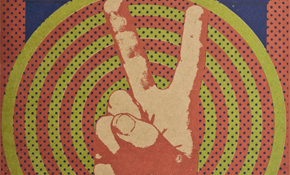 Explore primary source material related to the music, activism, pacifism, youth culture, drug culture and more from this era of “peace, love and happiness” by browsing the database’s thematic areas.